With HD footage and 4K video, film and video editors need more hard drive space than ever. The good news is, storage space is cheaper than it ever has been before, but there are also more external hard drives and RAID systems available for sale today than ever before. We’ve put together the following list of some of the best external hard drives for video editing and RAID systems for filmmakers. As you can see, Thunderbolt (available on Macs and a few PCs) is by far the fastest protocol available today for external hard drives and RAID systems (more on RAIDs a bit later). The next fastest available is eSATA which is a somewhat obscure format that is available on a few Windows PCs but never really gained much ground (and never made it to the Mac). 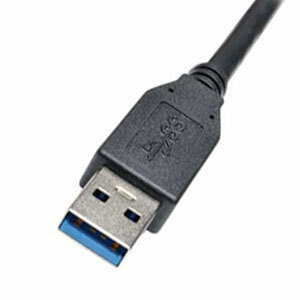 Closely behind is USB 3 which is pretty ubiquitous these days and is far faster than its USB 2.0 predecessor. After that comes Firewire 800, a mostly Mac interface that was about twice as fast as USB 2.0. 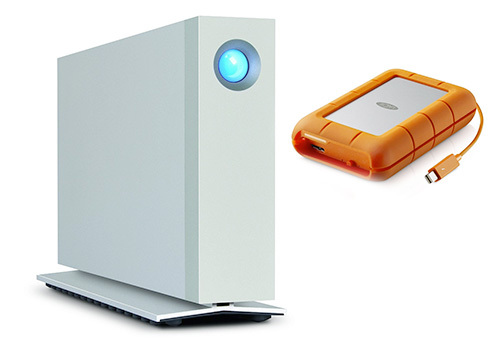 Just about every editor is familiar with LaCie hard drives: they’re known for their good quality components and generally rock solid reliability, which is exactly what you want when you’re editing video. LaCie makes a range of speedy 7200RPM hard drives that use Thunderbolt and USB 3.0 both to connect to your computer. We have no qualms about recommending the LaCie d2 Thunderbolt + USB 3.0 hard drive to video editors whether they’re editing 4K video or just regular old HD video. One nice advantage of this external hard drive for video editors is that it has two Thunderbolt ports. 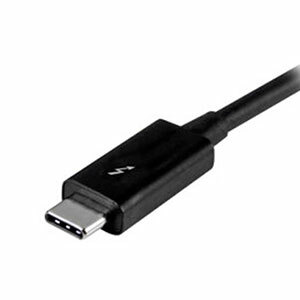 Like its older predecessor Firewire, Thunderbolt is a daisy-chainable system, meaning that you can string together multiple hard drives and connect them all to your computer using a single Thunderbolt port. This can be especially handy if you’re ports-constrained or editing using a lot of hard drives at once. Also be sure to check out the mini orange rugged drives that LaCie makes for on-set usage or for ferrying footage from one computer to another. 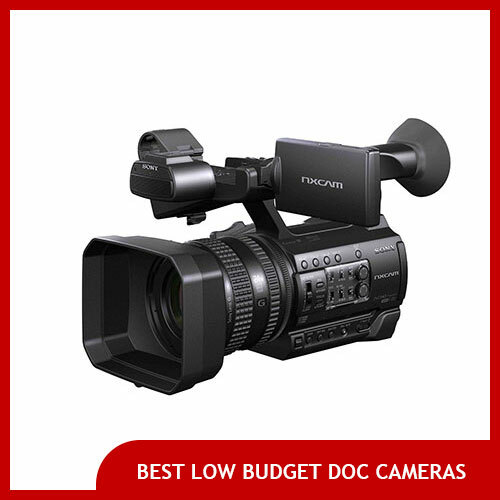 For years Hitachi was known for making some of the best professional grade video editing hard drives around. When they sold their business the drive portion became G-Technology which has continued the Hitachi legacy of making excellent external hard drives for video editors. 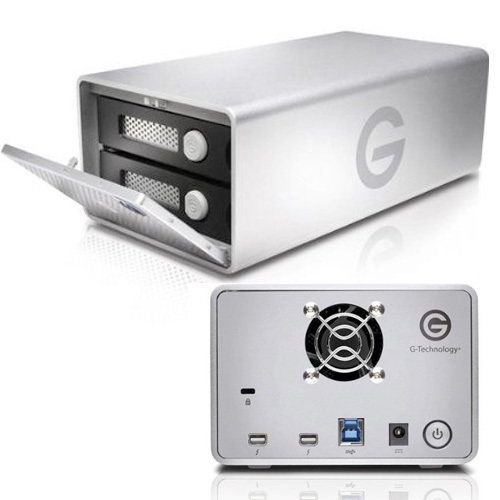 This G-Tech hard drive features a USB 3.0 port as well as Thunderbolt port, allowing you connect to whichever interface your computer has available. The G-Drive spins at 7200RPM and weighs about three pounds and feels hefty in your hand– not like a cheap plastic hard drive that will topple on your desk. It also features an on/off switch, which some video editors prefer to have on their external hard drives. Although RAID systems can be configured in several different ways, we recommend using them set to “RAID 0” which allows for maximum read/write speed that editors demand when they’re dealing with huge 4K and HD video files. This RAID array has two 6TB hard drives meaning its total capacity is 12TB of lightning fast storage. And you can connect it via either Thunderbolt ports (of which it sports two for daisy chaining purposes), or USB 3.0 ports. It even sports two front-facing USB 3.0 ports so you can even hook up additional peripherals like other hard drives or a USB 3.0 memory card reader. WD also sells smaller RAID arrays with less capacity, and a bigger brother 16TB version for a bit more. 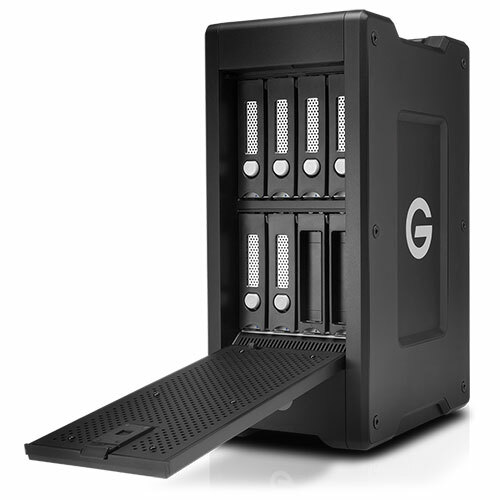 This G-Technology RAID system features two 6TB hard drives allowing for a total of 12 terabytes of storage in RAID 0 (“striped”) mode. It’s capable of blazingly high speeds when connected either with the included USB 3.0 cable or Thunderbolt 2 cable. 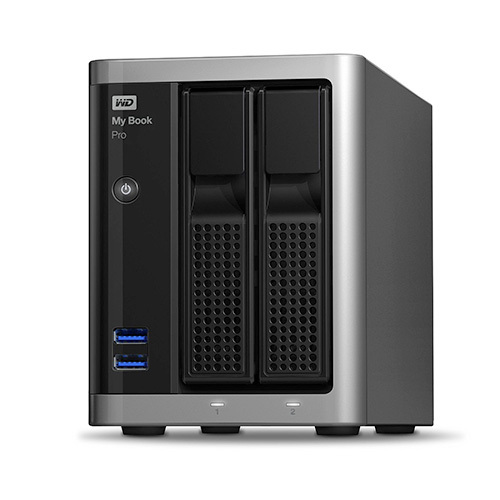 Its internal hard drives are enterprise class and rated at 7200 RPM and like all hard drives and RAID systems in this article it works with either a Mac or a PC (though you may need to format it initially using the included software). It is also whisper quiet so you can have it on your desk as you edit without the noise bothering you. 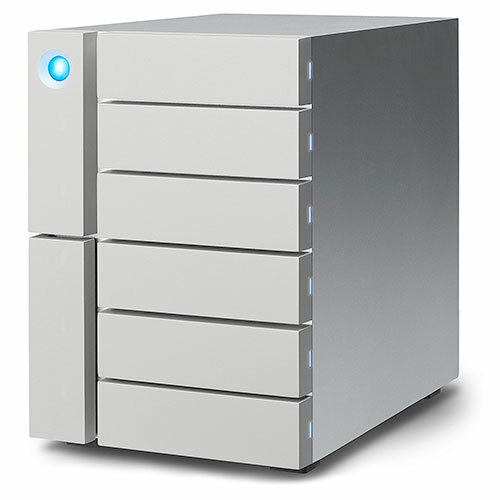 LaCie has been making professional grade external storage and RAID systems for years, and the one of their latest RAID systems is the 2big dual disk RAID system. It sports two 6TB hard drives which can be formatted either as a RAID 0 for 12 terabytes of fast storage, or a redundant RAID level such as RAID 1 which makes an exact copy of all data for a usable size of 4TB. This particular RAID system offers a USB 3.0 port for Macs or PCs as well as two Thunderbolt 2.0 ports for Macs to connect with. Both drives that this system comes with are 7200 RPM, so they’re fast enough to read multiple uncompressed 2K 10-bit streams or a single 4K compressed video stream if you’re not doing multi-cam editing. Offers sustained read speeds of 420MB/s, enough to edit or play back several streams of normal HD video at once. Weighing 27 pounds (!) 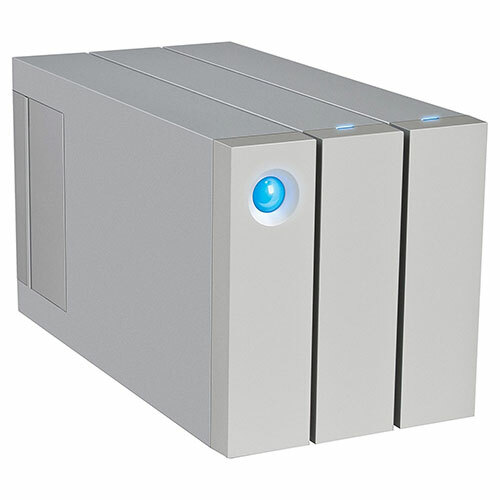 the LaCie 6big is truly a heavy duty RAID system for video editors. It features six hard drive bays, and ships with six four TB drives at 7200 RPM (depending on how you configure the RAID setup that gives you up to 24 TBs of storage to work with). For connectivity, the LaCie 6big has two Thunderbolt 3 ports and one USB Type C port. Works with RAID level 0, 1, 5, 6, 10 and 50. This high capacity, high speed RAID system provides you with a ton of storage available at high speeds with RAID 0, RAID 1, RAID 5, RAID 6, RAID 10 or RAID 50 configurations. Comes with dual Thunderbolt 2 ports for ultra high speed transfers. There are several factors that influence the speed of an external hard drive. What port it uses (USB or otherwise) is certainly one factor. The speed of the storage is another (i.e. whether it’s a slow 5400 RPM hard drive, a faster 7200 RPM hard drive or an even faster solid state drive). 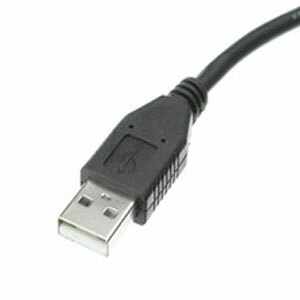 Generally speaking, USB 3.0 hard drives are usually fast enough to edit 1080p HD video. If they’re solid state drives (SSDs), they’ll almost certainly be fast enough for 4K media as well. What are the best backup procedures for external hard drives? 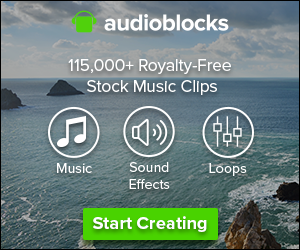 For video editors, even though an external hard drive might cost only a few hundred dollars, its true value is the amount of money which it would cost to re-create the footage that’s stored upon it. So if a hard drive contains footage that cost you $10,000 to shoot in the first place, think about the value of the hard drive as being $10,000 or more, not just the couple of hundred dollars that the hard drive cost you. Backing up your external editing hard drives is extremely important, and failing to do so can be a costly mistake. We recommend purchasing hard drives and RAID systems for editing in sets of two: if you buy one 2TB hard drive to store your footage on, buy a second 2TB hard drive to store a complete backup of your footage as well. If your footage grows over time, make sure you either manually copy over additional footage from one hard drive to the other, or use automated drive cloning software like Super Duper to make sure both drives remain up to date. In cases where your editing system also stores render files, keeping these up to date across hard drives is generally less essential since if data loss on one hard drive occurs, you may have to re-render in your NLE no matter what. Be sure to also back up your editing project file, be it a Final Cut Pro file, an Adobe Premiere Pro file, an Avid Media Composer file, Sony Vegas file or other project file type. For large projects, we recommend copying your project file and renaming it with the file date before each editing session, so you have a folder with all your old project files from previous days’ editing sessions backed up just in case you ever need to access them– either because you accidentally deleted an important sequence/timeline from last week, or because the project file got corrupted and is no longer usable. 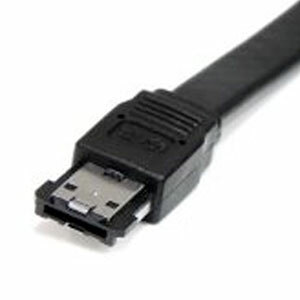 What is the best peripheral interface to connect an external hard drive using? An older port connection limited to about 60 megabytes per second. Enough to simultaneously edit about two streams of HD video, depending on what codec you’re using. Extremely common and cheaply available on laptops and desktops today, both Macs & PCs. 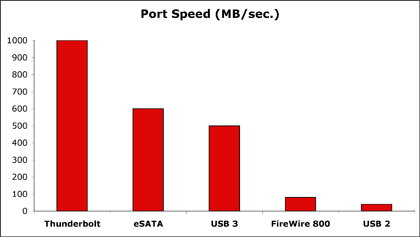 Relatively common both on external hard drives & RAID systems as well as computers, USB 3 uses the same physical port as USB 2.0 so it’s backwards compatible though it’s capable of achieving a much faster transfer speed of 625 megabytes per second. This is fast enough that the bottleneck is a spinning drive (hard drive). If you’re editing multiple streams of HD video or 2K or even 4K video over USB you may want to consider spending a little extra on a solid state drive (SSD) which is faster but a bit more expensive. Some PCs have eSATA cards which allow you to use this standard which can read up to 750 MB/sec. If you’re going to be using Macs at all as part of your post production workflow though, skip eSATA or at least choose a drive that has a Mac-friendly port in addition to eSATA. These days eSATA is not used very commonly among pro video editors. While PCs can use Thunderbolt, relatively few PCs have a Thunderbolt 1 or 2 port (which uses the mini DisplayPort form factor) meaning that for most users Thunderbolt is a Mac only standard. It’s speedy: Thunderbolt 2 can read up to 2500 megabytes per second, more than enough to do a multicam edit of several streams of HD video or even multiple streams of 2K or 4K video (depending on the video codec being used). 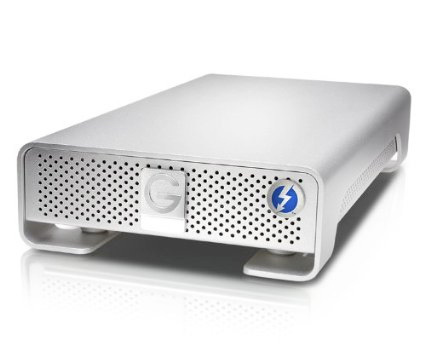 To truly take advantage of Thunderbolt’s speeds, consider a fast SSD or RAID system. Users editing video on an iMac or Macbook Pro (2012-mid 2016) will find that Thunderbolt is the fastest port they have on their computers. Thunderbolt 3 uses the USB Type C port found on late 2016 and 2017 and 2018/2019 Macbook Pros as well as a small number of PCs (though this number is expected to grow). 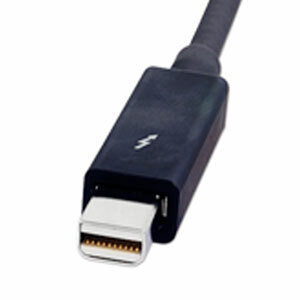 While the USB C port uses the normal USB 3 speed standard, on some computers such as new Macbook Pros it can also carry Thunderbolt 3, a new superfast standard capable of reading up to 5,000 megabytes per second (twice the previous number). While in theory this would be the fastest protocol for editing video, there are no hard drives or SSDs that can read data at anywhere near that speed, so it’s somewhat irrelevant. However this massive data throughput means you have enough bandwidth to drive a large high resolution 4K or 5K external display through a single Thunderbolt 3 (USB Type C) cable which you can also daisy-chain a hard drive or RAID system to. 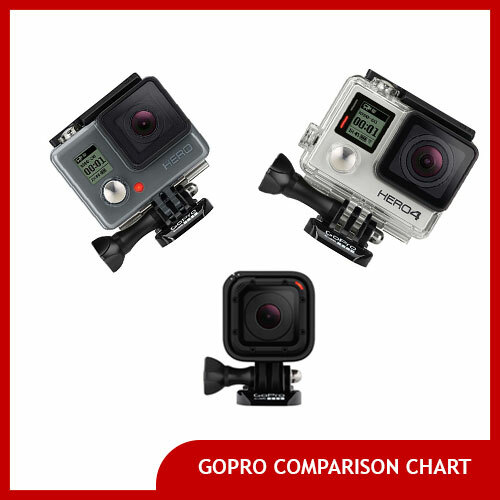 Previous Post: What is the best video tripod for filmmakers? 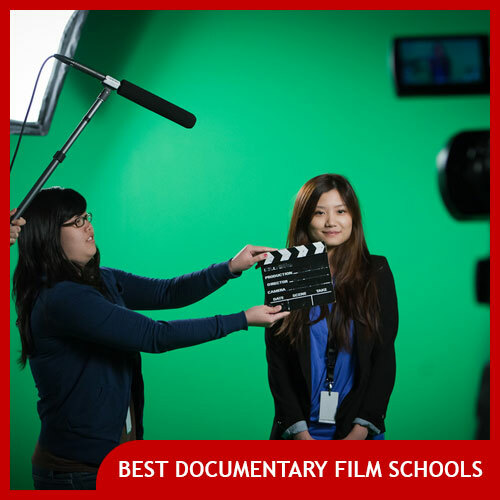 Next Post: When do you need a documentary film release form?